Add a feminine touch to soft, spring-inspired arrangements with with Hyacinth Blush Flowers. 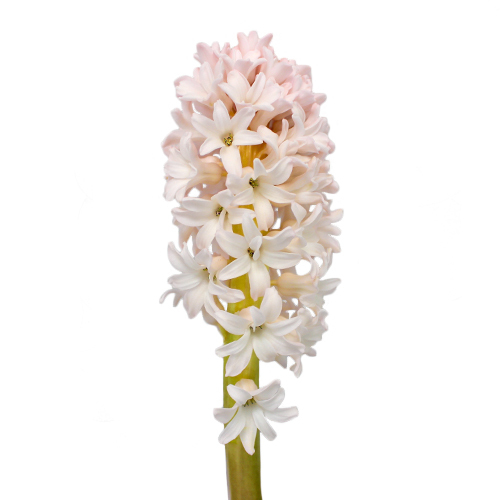 Hyacinth feature small, star-shaped blooms that cluster together to give the illusion of a single, cylindrical bloom. 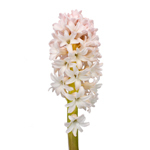 These small flowers have a creamy blush color, which is ideal for soft-paletted wildflower-inspired arrangements. 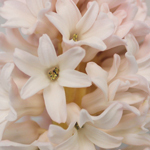 Pair with blooms like pink astilbe flowers, tissue culture statice white flowers, assorted bulk wax flowers, and star of Bethlehem white flowers.